I love fresh peaches this time of year, and some friends brought a bucket load of organic ones to Star of Texas Bed and Breakfast. 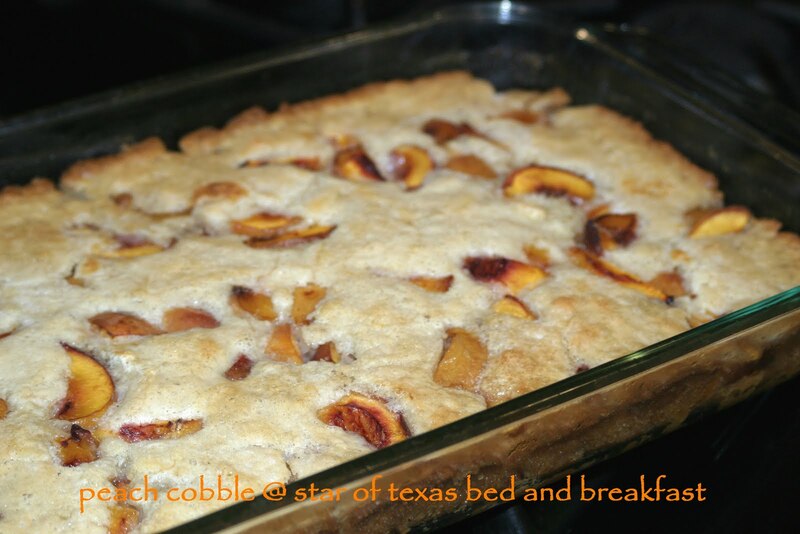 So I made fresh cobbler and wanted to share this easy recipe with you. on top of this mix 2 cups of fresh cut peaches. Bake for 45min. can use any type of fruit.